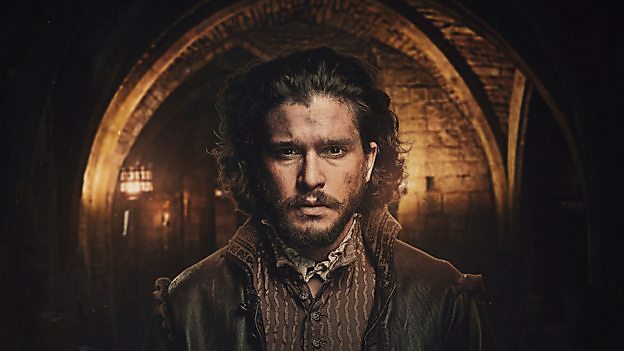 Kit Harington and Liv Tyler star alongside Peter Mullan, Mark Gatiss, Tom Cullen, Edward Holcroft, Shaun Dooley, Robert Emms, Derek Riddell and Pedro Casablanc in Gunpowder, a 3x60’ retelling of The Gunpowder Plot. Gunpowder begins on Saturday 21 October on BBC One. The full series will be available on BBC iPlayer, with all episodes available immediately after the broadcast of episode one. Developed by Ronan Bennett, Kit Harington and Daniel West, written by Ronan Bennett, directed by J Blakeson and produced by Laurie Borg. Made by Kudos in association with Thriker Films for BBC One. Executive Producers - Ollie Madden for Kudos, Matthew Read for the BBC, and Ronan Bennett. Kit Harington and Daniel West are Co-Executive Producers for Thriker Films.